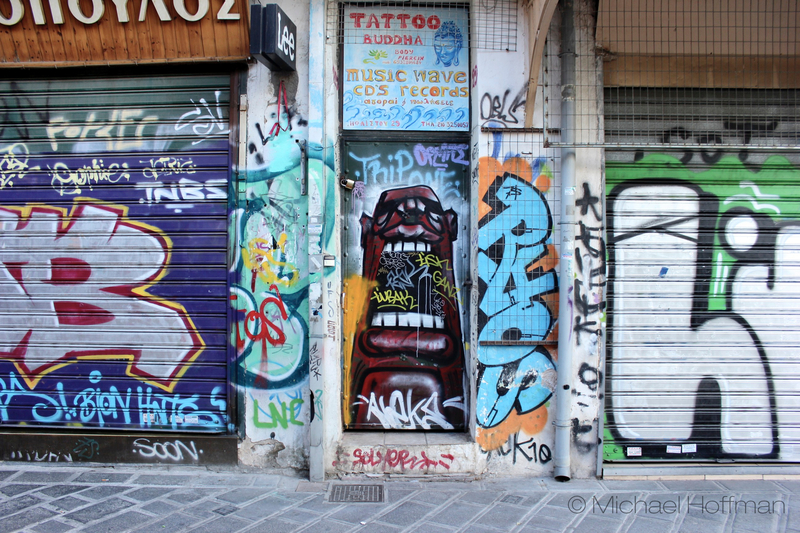 This post is part of the so called “Greek Series”, consisting of photographies shot during my backpacking adventure in September 2013. You’ll find a basic introduction to the series here. In contrast to the last few I feel as this one needs some background information. 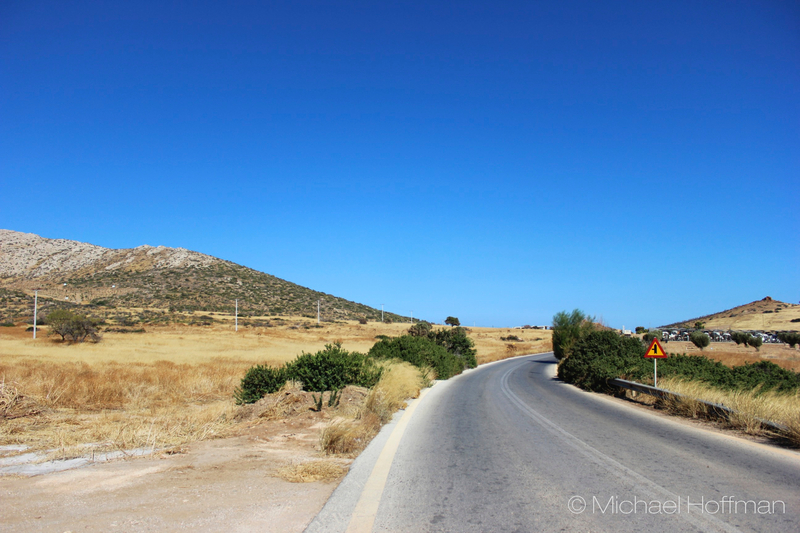 Basically the first batch of pictures was shot at Cap Sounio and the second one a day later at Ancient Corintho (Archea Korinthos), with some road shots in between. 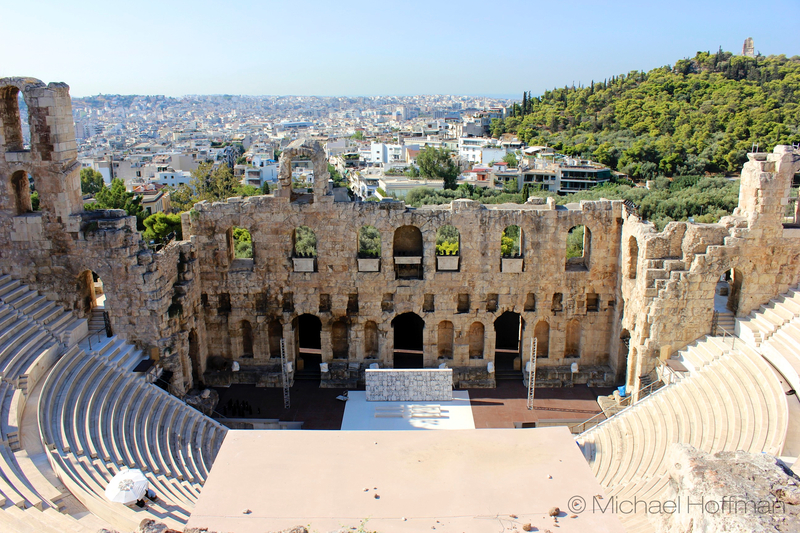 They were the first two stops on a marvelous and mind expanding road trip, which began in Athens and led us through the most terrific and beautiful places within the former centre of the civilized world. 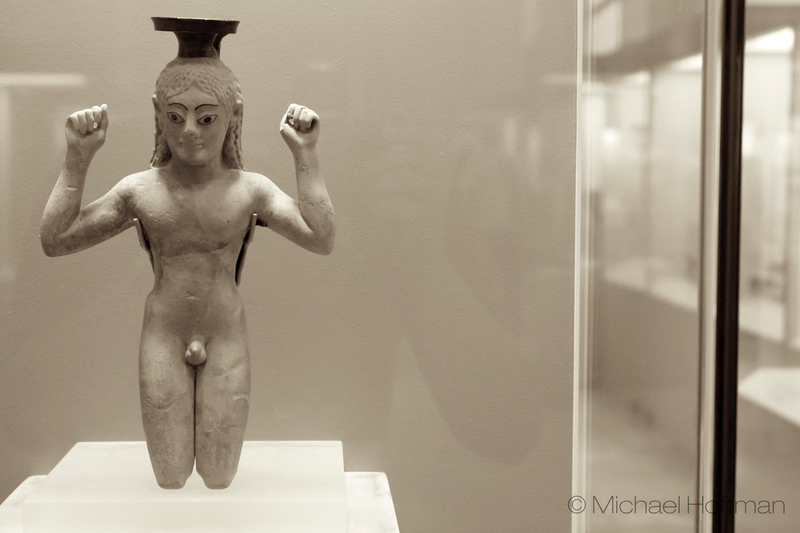 The place of many myths and historic beginnings (shout out to the Olympic Games!). As much as I love good legends and factual history the format I chose for this blog isn’t really fitting for either of them. But what is important, especially with temples which can sometimes look a like a lot, is to provide a basic context for an understanding of the photographed objects / places and a little bit of history maybe. Wrapping the package around with some personal anecdotes and route information. 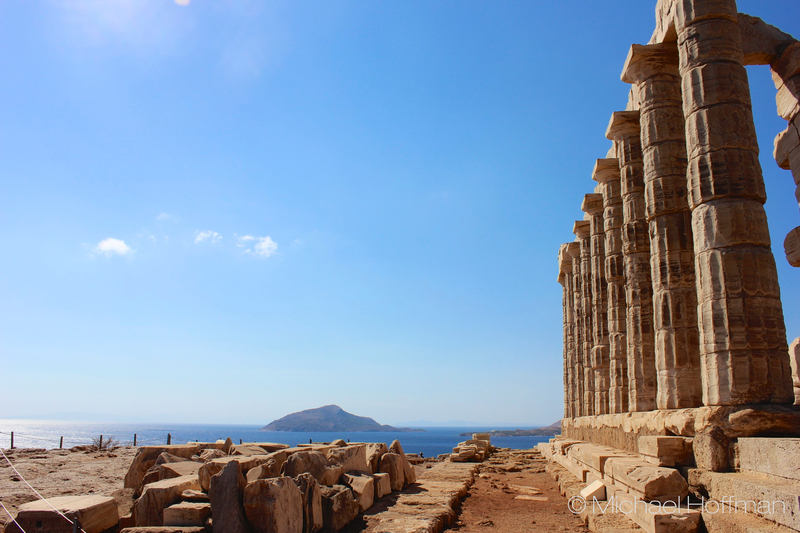 If you are satisfied with looking at blue skies and old stones feel free to skip the letters..
Cap Sounio is situated at the most southern point of the Attica peninsula, which is basically the land mass around Athens. 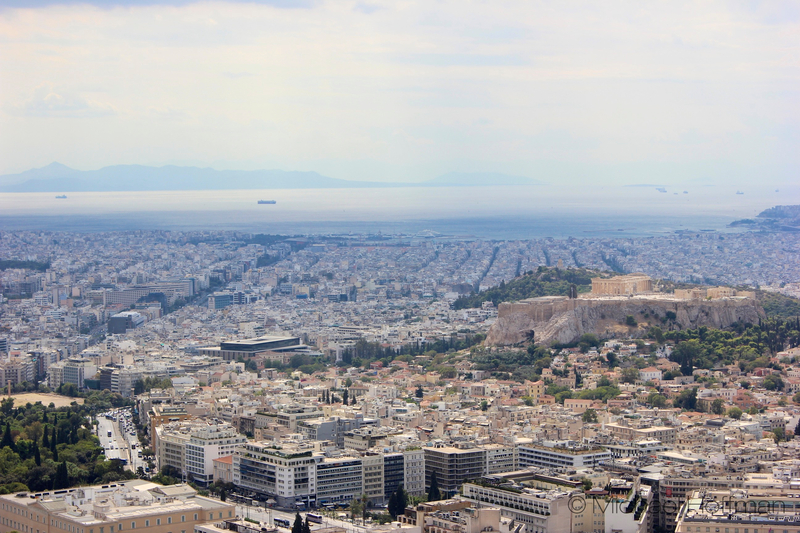 As sea fearers sailed into Athens they passed the Cap and so it was a natural place for a massive temple. 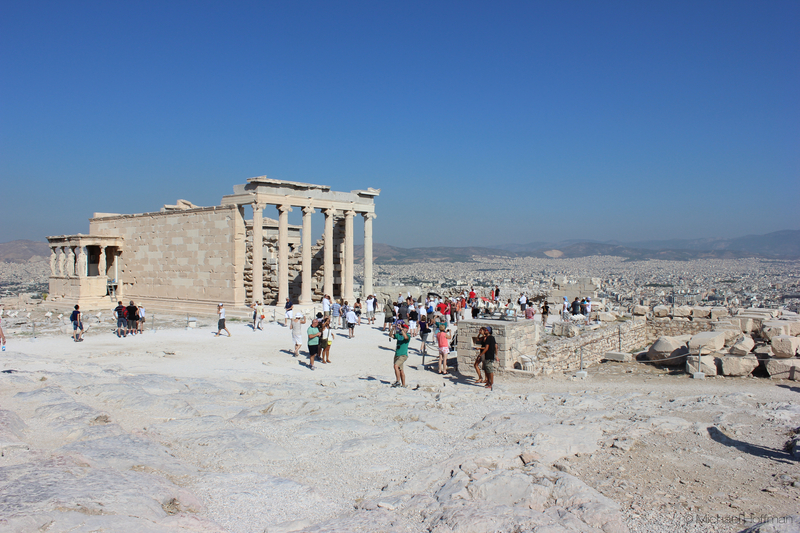 There were sanctual buildings here before, but the pillars you see on the following pictures are remains of the Poseidon temple, build on the hight of Athens power in the classic period (mid 5th BC). It was the most important place of worship of the wrathful god of the sea, whose mercy it was especially useful to have. 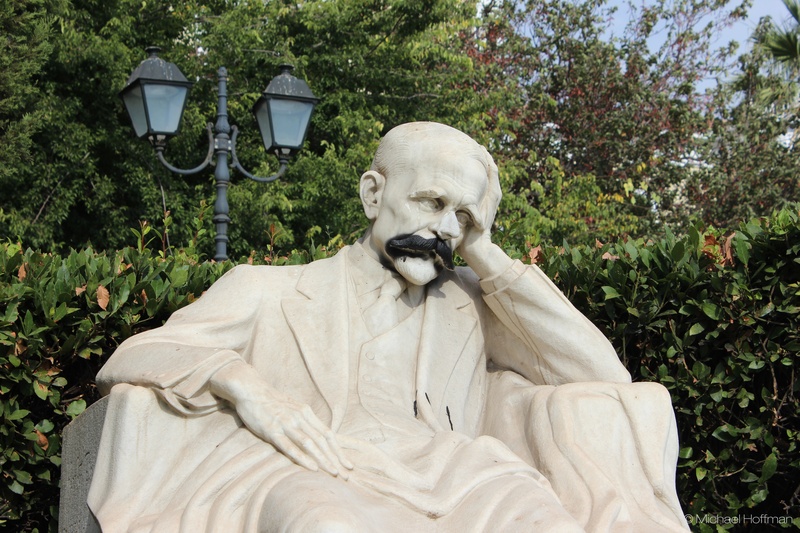 Homer already described the place as holy. 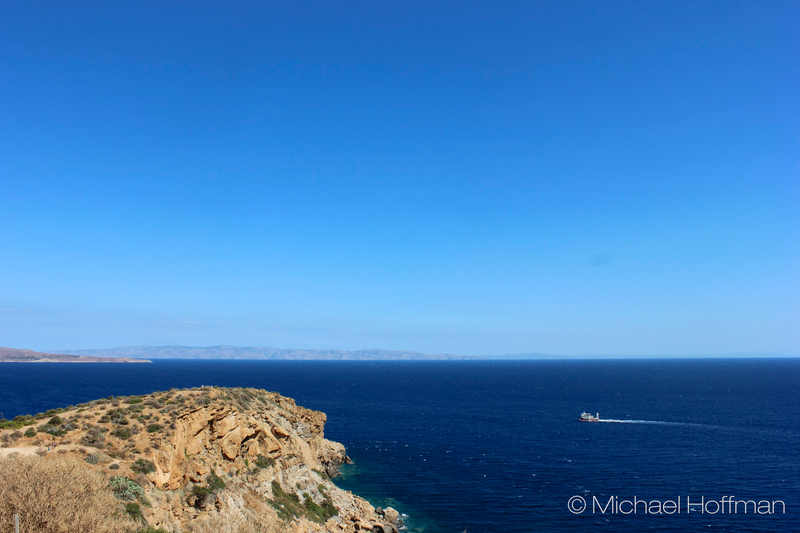 So as I am not religious and don’t believe in Greek gods (although on our journey we met some interesting paganists) I can’t talk about any spirits I felt there, but Cap Sounio definitively made a strong impression on me. The view was simply breathtaking. Unfortunately we couldn’t stay for the sunset, so our journey continued through the Greek countryside over the Isthmus of Corinth (a narrow land strip), crossing the famous canal of the same name which is a marvelous piece of engineering achieved in the end of the 19th century to finally the famous Peloponnes itself. 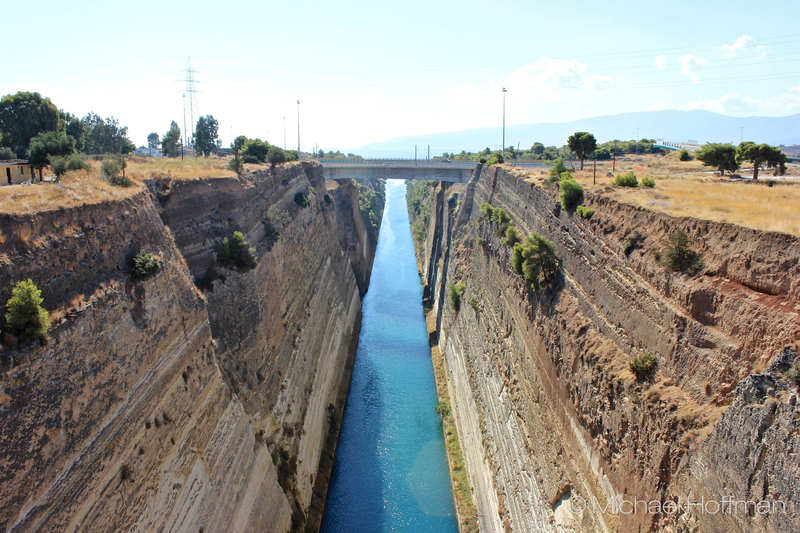 Interestingly the canal turned the Peloponnes, naturally very much like Attica a peninsula, into an island. 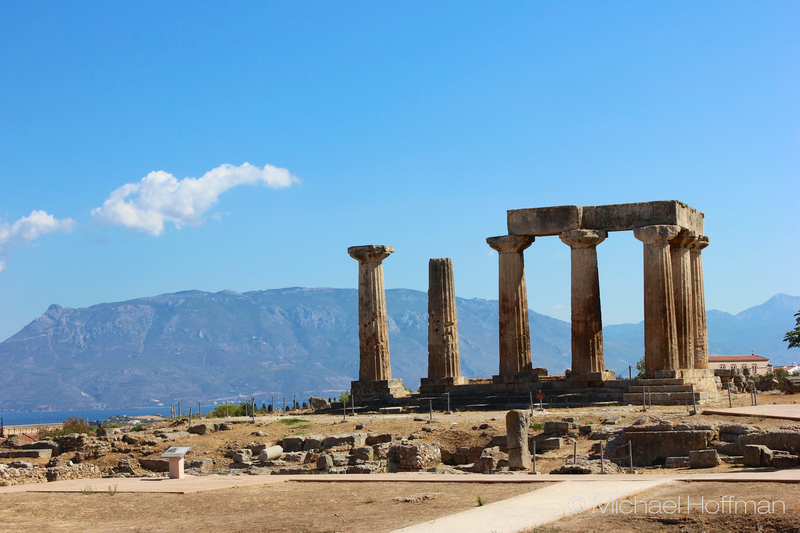 As the name by itself means Island of Pelops, millennia before the land was actually an island, it seems like there is some self prophecy in there or at least a good anecdote. 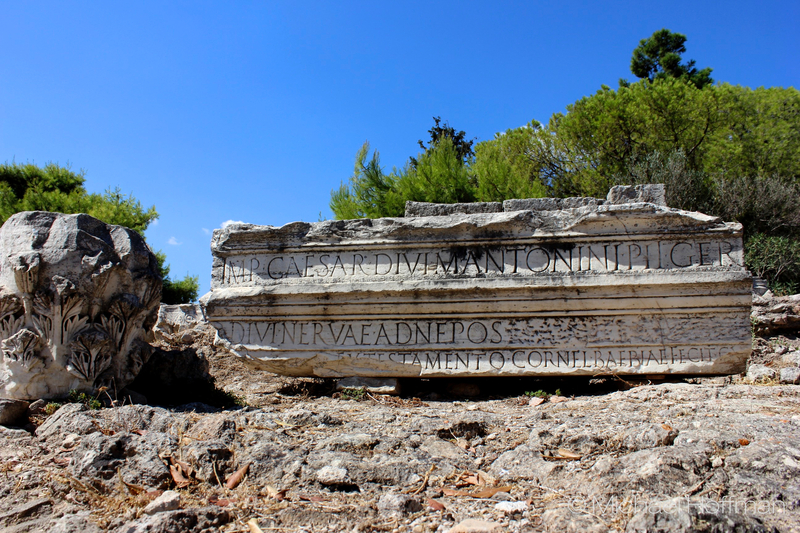 Corinth is very close to the the Isthmus, so the historic role of the city was to secure the passage way to mainland Greece and profiting from being a Checkpoint Charlie for ancient merchants and soldiers. 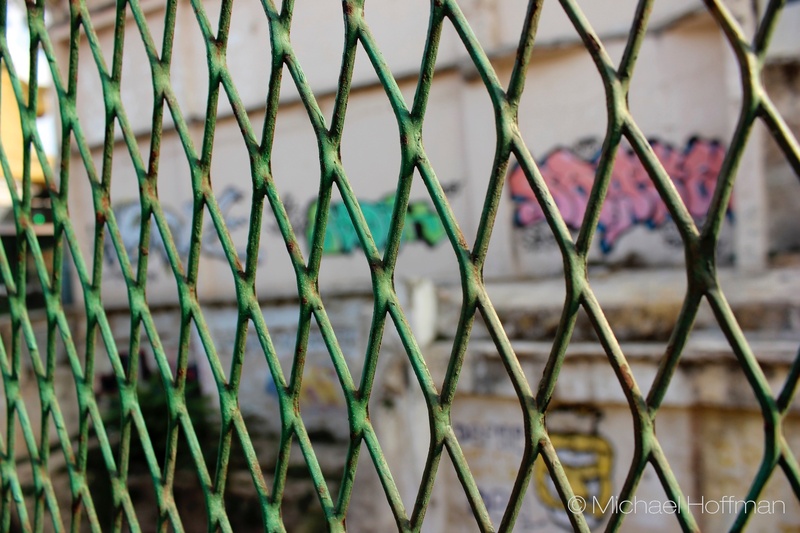 A necessary evil not unlike modern borders. So it was a relative well situated metropole by itself during the Classic periode, bursting with urban life and religious worship. 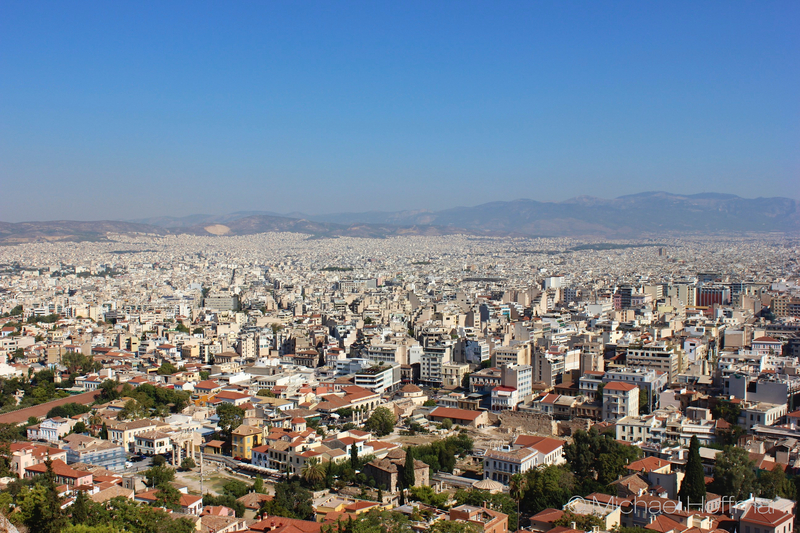 Later it lost much of its influence during the Hellenistic period in the 4th century, regaining importance as redesigned city under the Romans a few centuries later. 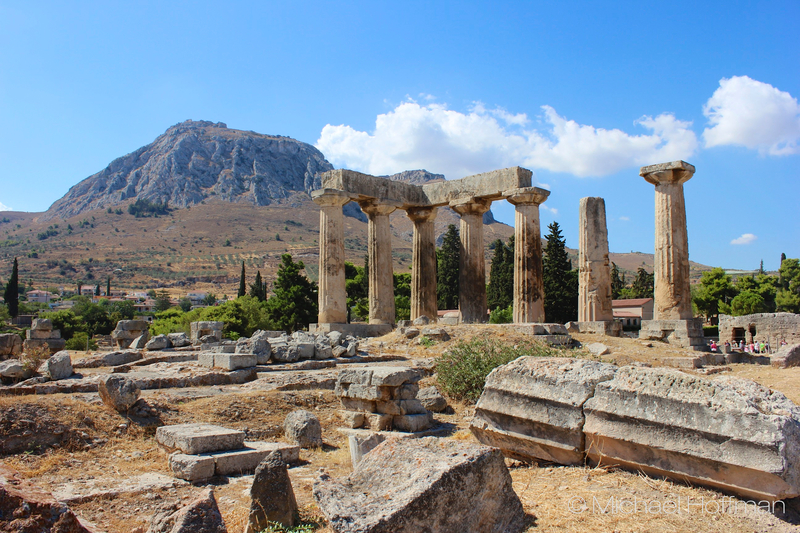 But in a more modern perspective the most important role for Corinth was having to be an early place of Christian worship. 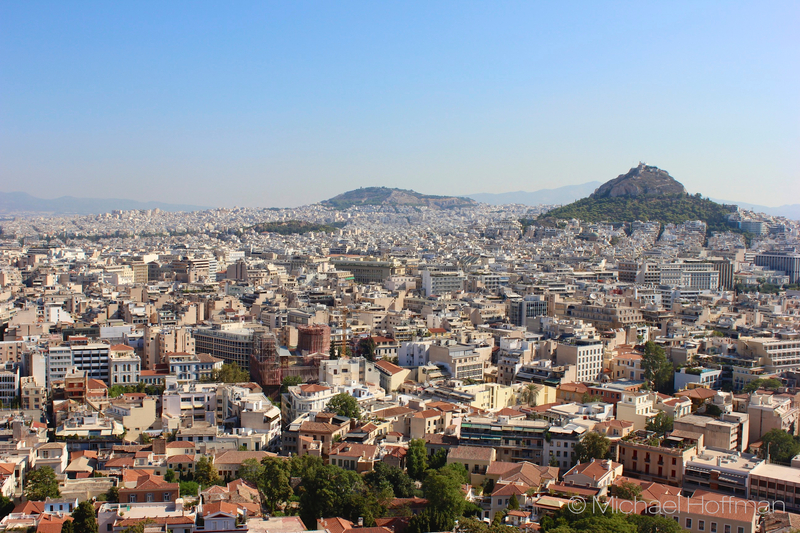 The city is mentioned extensively in the New Testament and it was one of the destinations of Apostel Paul during his journey around the Mediterranean. 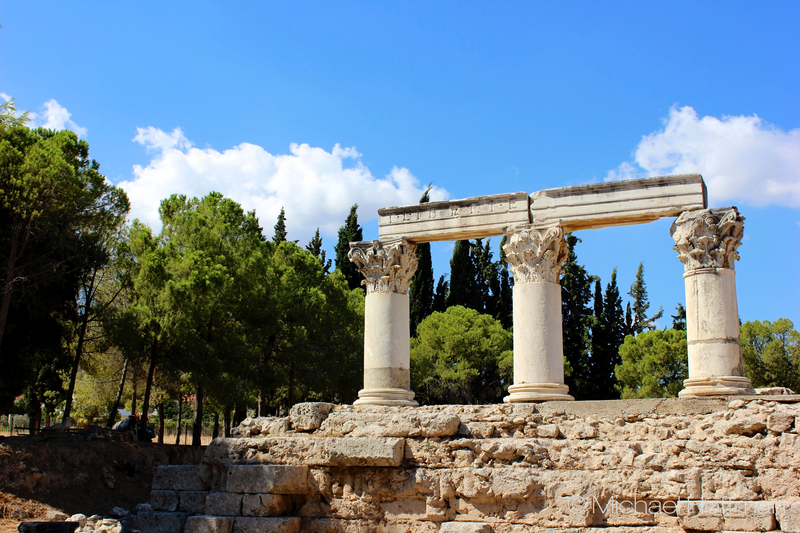 On the main sight of Archea Korinthos, some kilometers outside of the modern Corinth, you see some remains of a building, which was originally a temple and later reconstructed into a church, retaining features of the old faith and developing them according to the new beliefs. The deep connection Christianity holds to the old Greeks and Romans is apparent here. A sense of continuity in a way which is known but generally not well understood in its full extense it seems to me. Comparing the last picture and the next one you see some interesting differences between architectural types in antiquity. 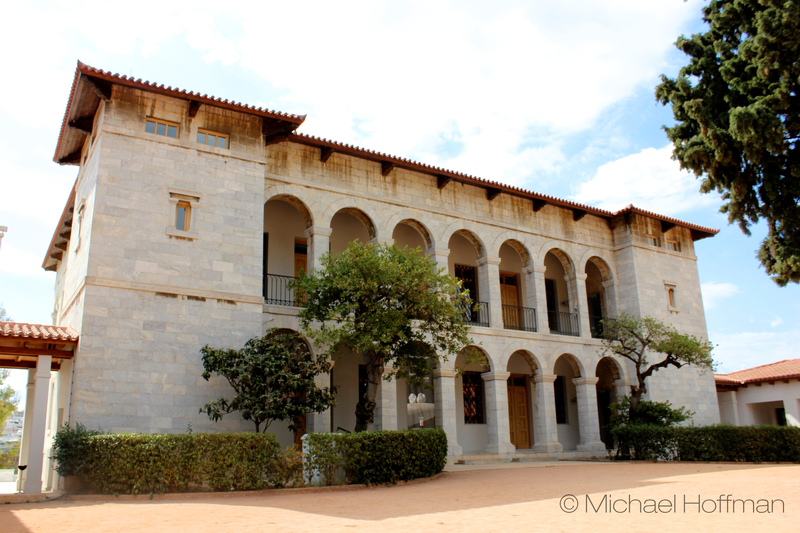 The columns of the first one are build in the old Doric style, a more straightforward form factor. Followed by the development of a Corinth style a few centuries later, probably named so because of the heavy use of materials from the region. They were more playful and incorporated decorative elements in contrast to the more formal and function-oriented Doric columns. 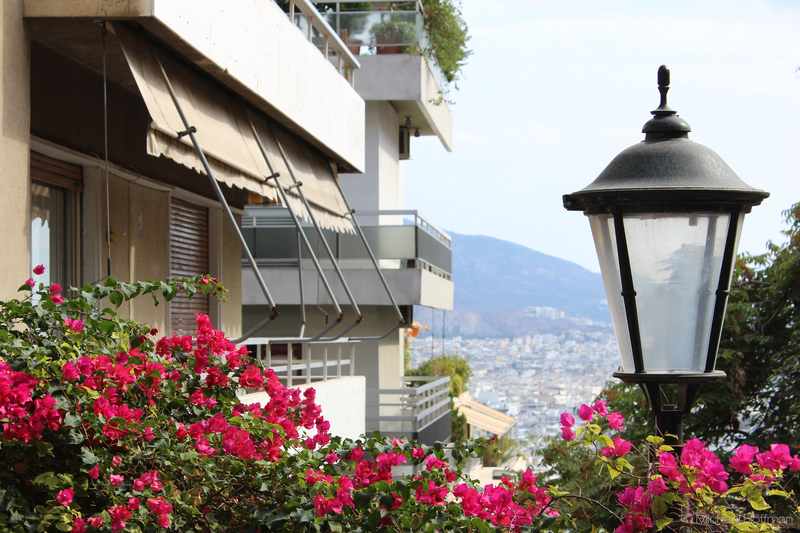 Route from Athens to Sounio and from Athens again to Archea Korinthos. 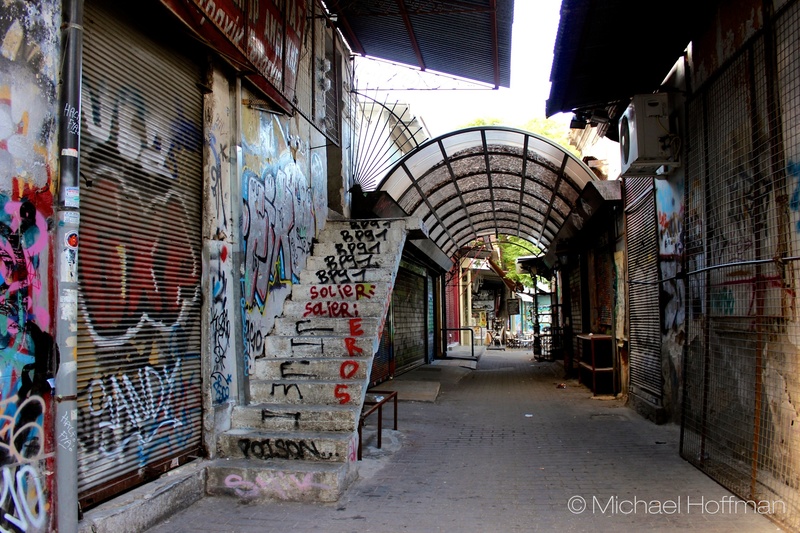 This post is part of the Greek Series, in which I recount my travel through Greece in pictures. 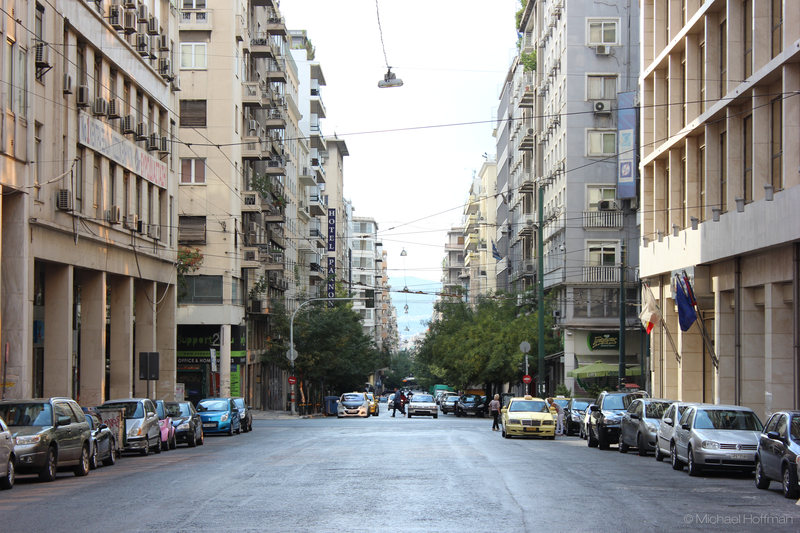 So the first two entries were all about Athens, as it was the starting point of our journey. 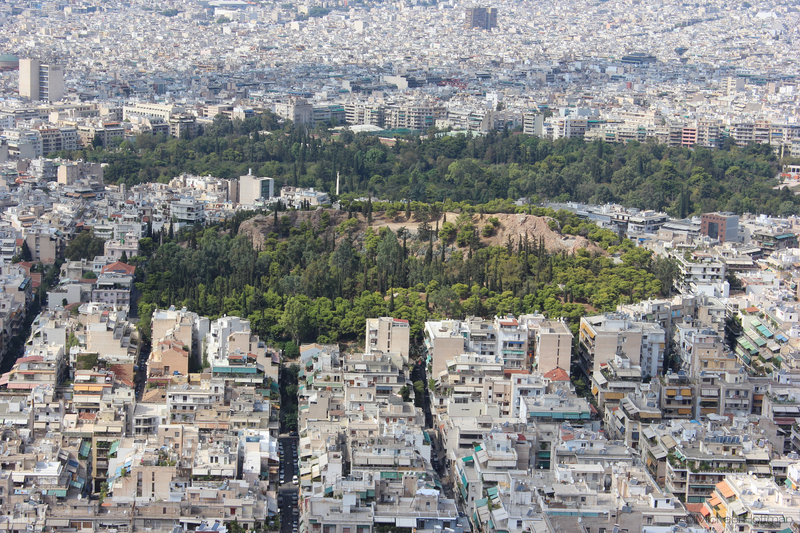 It’s time to get away from the city smog (and Athens has truly a lot of it). But not before I show you some impressions from above the city looking down on an amazing sea of urbanity. 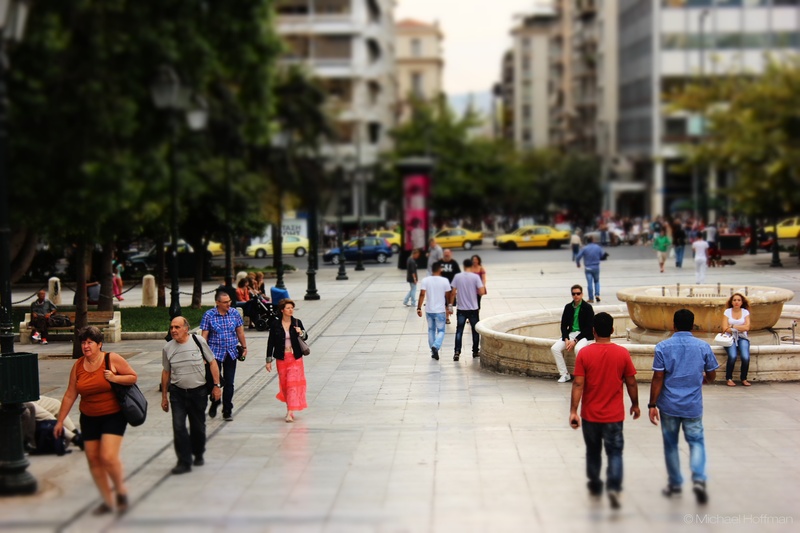 Most of Athens today is quite young actually, as the city regressed into a small town up to the 19th century. 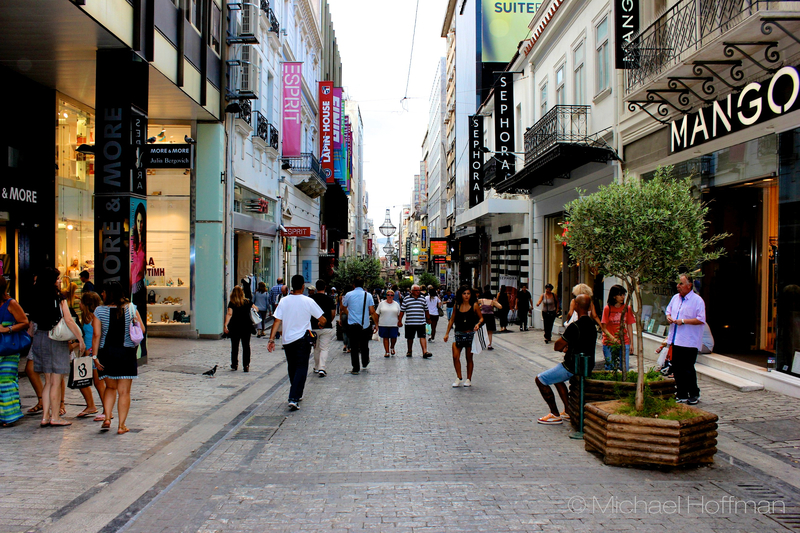 After the country gained independence from the Ottoman empire Athens became more and more important again and exploded truly during the 20th century into the metropole it today certainly is. 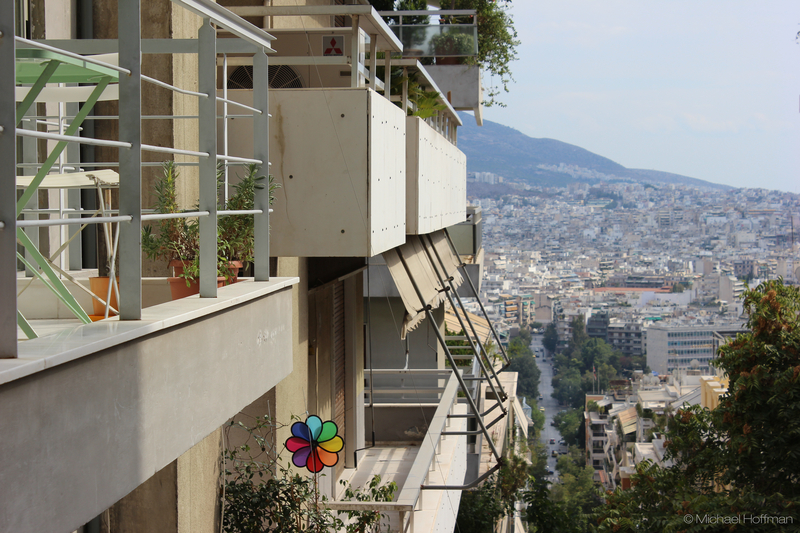 There are some street shots in here as well, but most of the pictures were taken from one of the many hills of Athens with a beautiful blue sky as permanent background. The last one is a panorama. 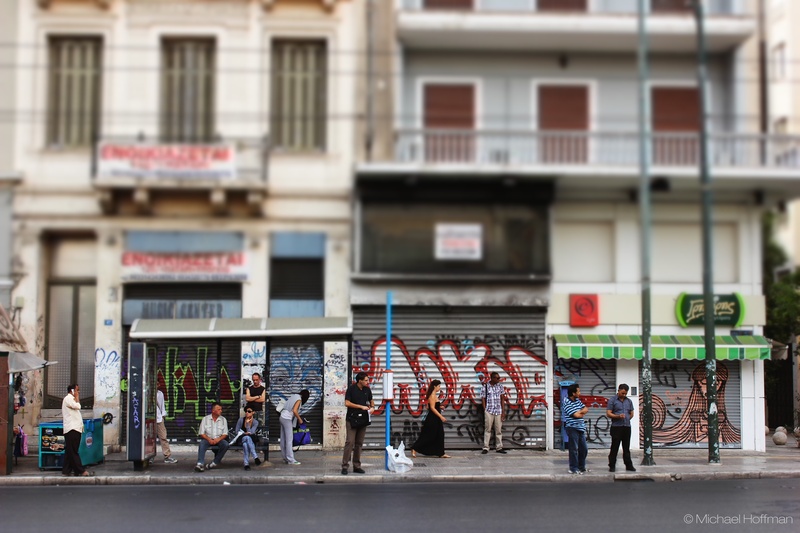 In the Greek series I recount my travel trough the country in the past September. 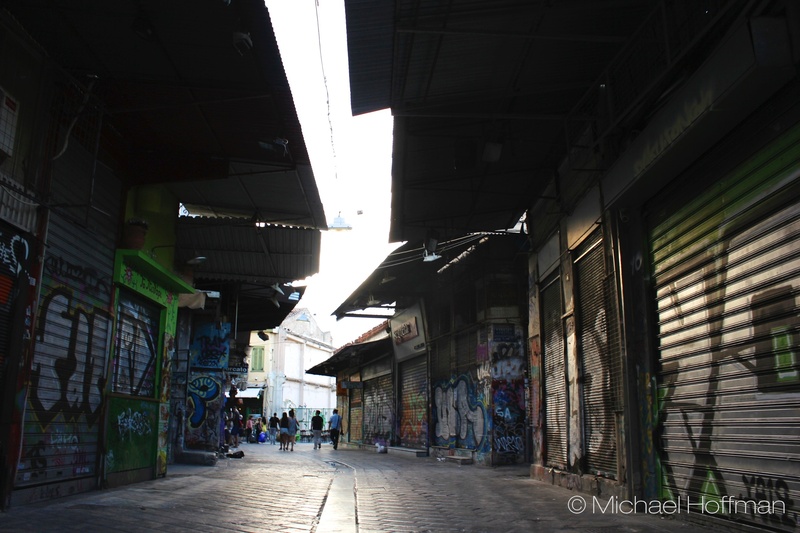 This one is all about contrasts and the different faces of Athens. 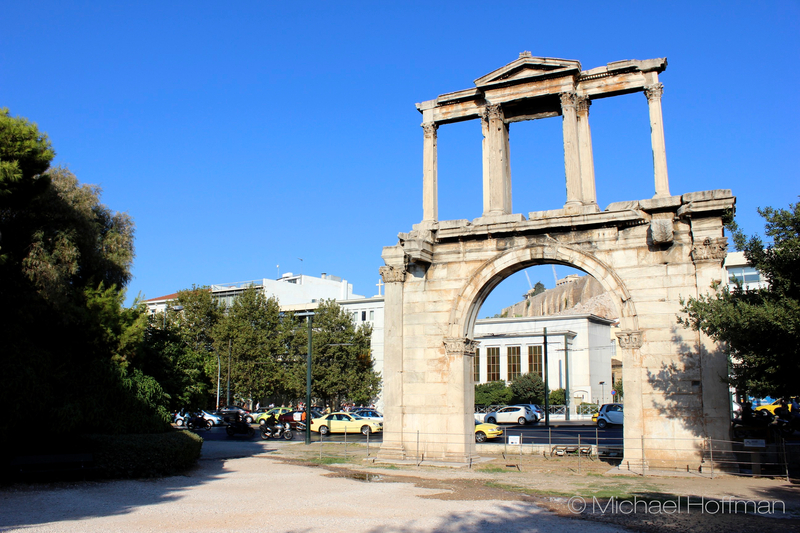 In full awareness of the ancient history of Greece and their stunning remains I want to hold the old stones back for now and show you some impressions of urban life in Athens as I saw it.